If you know a five-year-old girl, chances are when Frozen came out, you had “Let It Go!” stuck in your head 24/7. Everywhere you turned, you could hear the chorus sung live or replayed in your head from a previous rendition. As I kept hearing the statement “Let It Go!” over and over, I realized that there is more to this extremely catchy line of music than meets the eye. 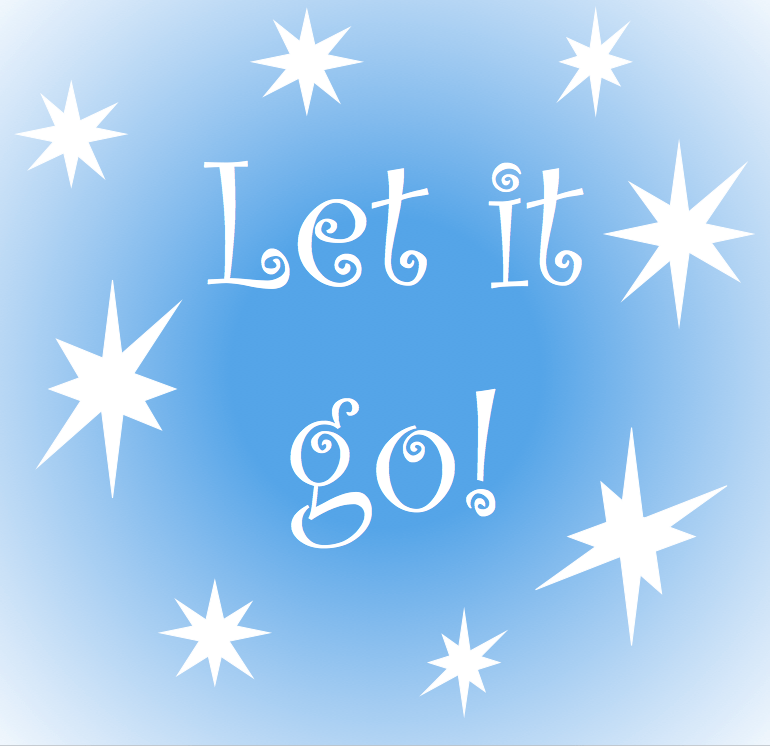 It reveals a key to effective leadership in the classroom: Let it go. So many times we as educators think we have to do everything in the classroom. But what if we let it go and let the students lead? What could happen? When we choose to hold on to tasks or responsibilities we’ve always done, we are limiting the potential for a child or young adult to step up and have the opportunity to lead. By letting go of some of these tried-and-true responsibilities, we are freeing ourselves to do other things that require our attention. There are things we can release and allow others to do. And then, there are also things that need to stay in our hands through completion. The key is to know the difference between the two. What are some tasks or routines I currently do in my classroom that could be done by students? How hard is it for me to trust these tasks/routines to get done? Am I willing to let go of my way of doing certain things? By letting go, how might I accept a different approach to getting the tasks/routines done? How can I collaborate with other staff to help students achieve their potential by providing them a leadership responsibility? 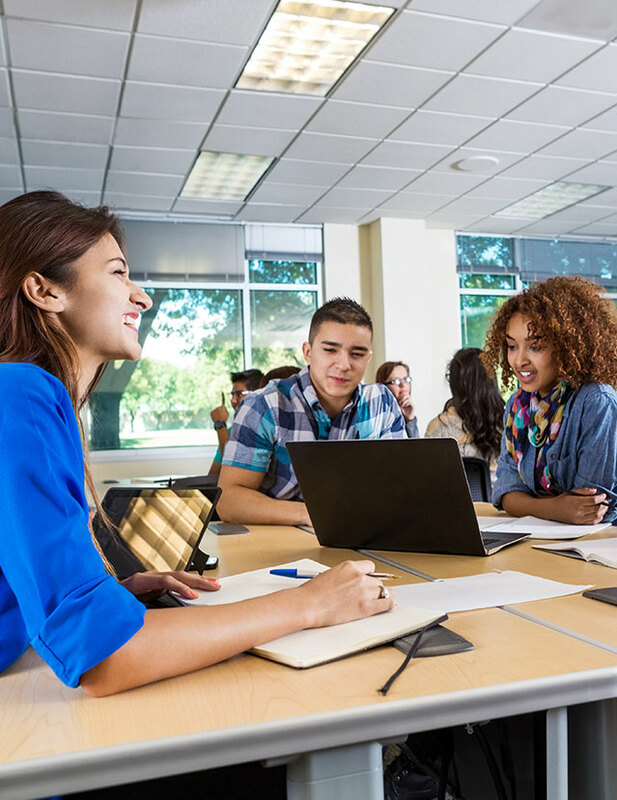 As you and the other educators in your building begin to let it go and let your students lead, you’ll create a school culture of leadership and student empowerment. 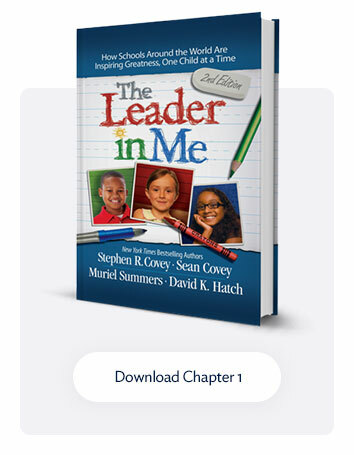 Shared leadership is one of the most fundamental paradigms of The Leader in Me. It is rooted in the belief that everyone can be a leader. This belief becomes reality when students are given opportunities for leadership roles. 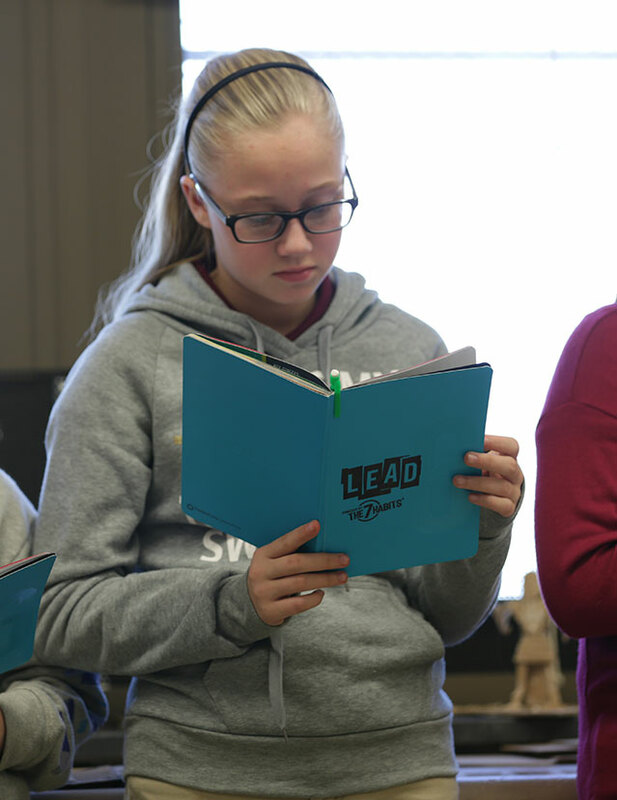 Providing specific opportunities for students to be leaders, also known as leadership roles, is one of the most vital components of The Leader in Me. It is also one of the students’ favorite aspects. Offer students opportunities to put into practice the leadership skills they have been taught. Talking about being responsible has far less impact than actually being given a responsibility and trusted to follow through. 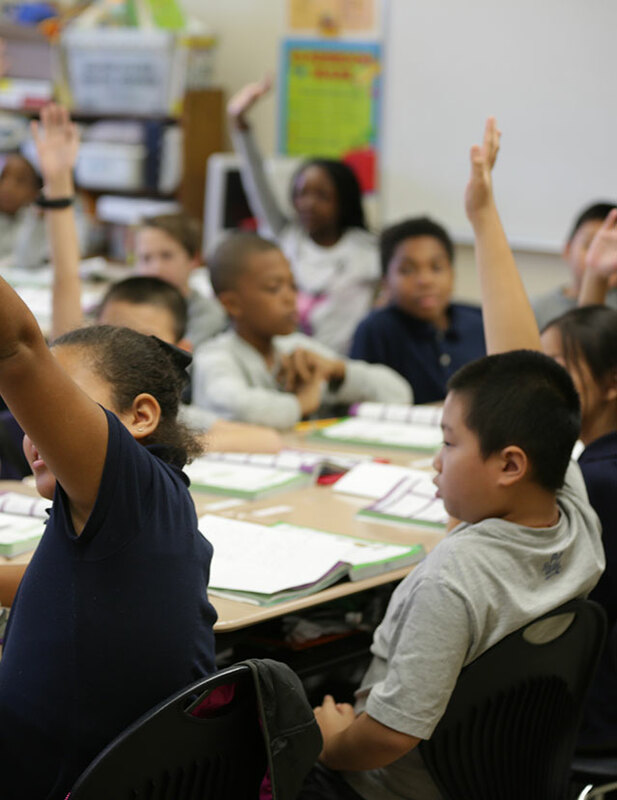 Help students gain self-confidence and a feeling of self-worth. Open the door for good ideas. Students have great ideas to make the school a better place to learn and work. Why not tap into their perspectives? 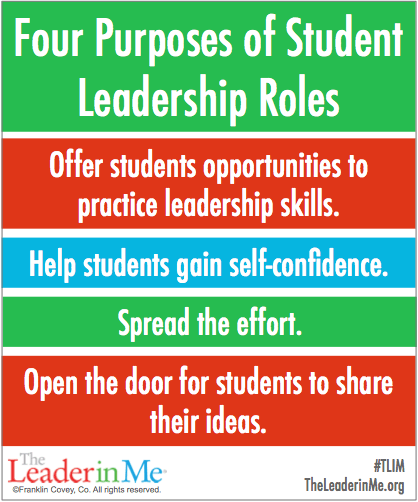 Below are a few sample student leadership roles that have been used at the classroom level to free up teachers to use their time on other tasks needing their attention. What other ideas or thoughts do you have on letting go of control and empowering students to lead?